Hand-crafted by skilled artisans, the Atlanta Sideboard by Rugiano is available in three versatile sizes to suit the scale of your space. Choose from a 2 door, 4 door or 6 door design. The 4 door sideboard features eight compartments and three drawers. Ideal for a dining room, use to store cutlery, tableware and accessories. The perfect piece for entertaining, the 4 door and 6 door design includes 11 compartments for holding everything you need for a special occasion. 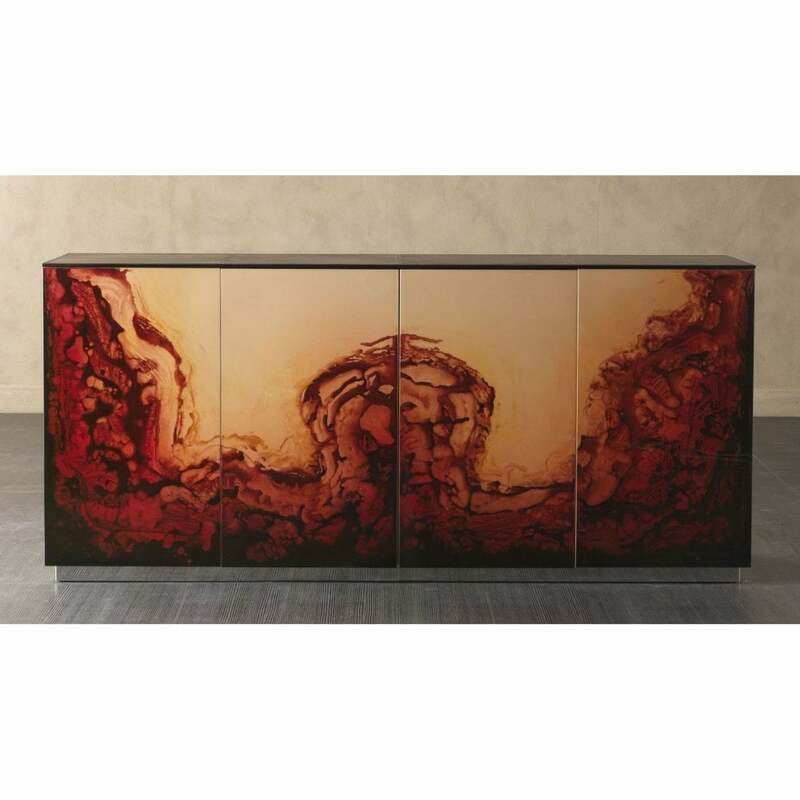 The beautiful sideboard is finished in a variety of exquisite polished lacquers creating a unique design that exudes Italian glamour. Get in touch with our team to discuss bespoke options and to receive samples.